ALL SEASON FOUR WHEEL DRIVE!! Lots of Cargo Space!! 7-Passenger Seating!! Back-Up Camera!! CARFAX BUYBACK GUARANTEE!! Great All-Terrain Performance!! 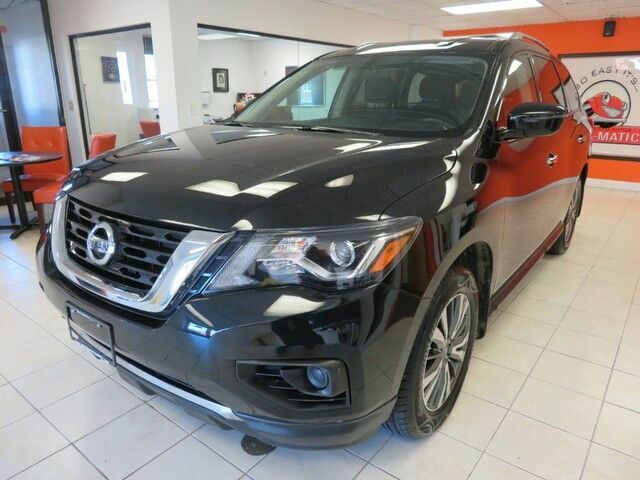 2017 Nissan Pathfinder S 4WD Sport Utility, 3.5L V6, Gray with Gray Interior, features AM/FM CD/MP3 with Aux Input, Air Conditioning, Power Locks, Windows, Mirrors, Cruise Control, TCS/VDC Traction Control, Folding Rear Seats, Lift Tailgate, and Alloy Wheels. Just Serviced, Automatic Certified!